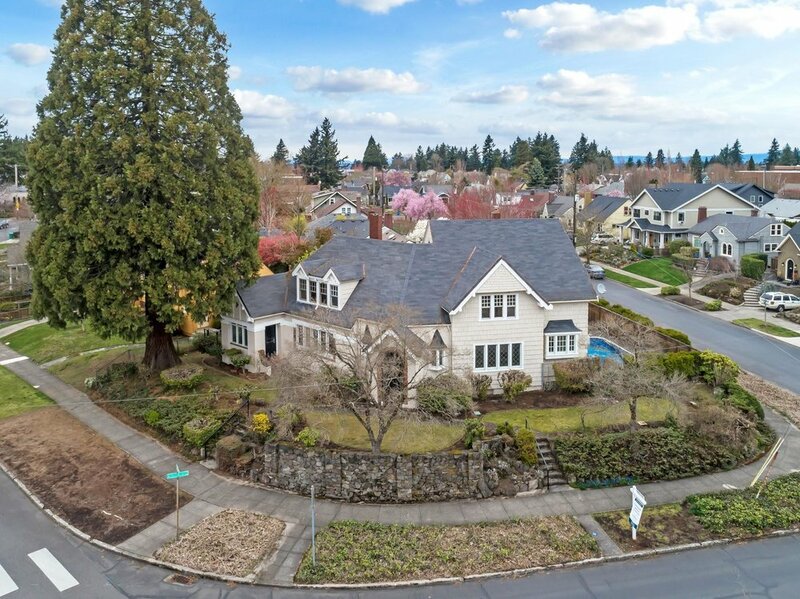 Historic Tudor style home on a prominent corner with magnificent original architectural details. Main rooms feature intricately patterned woodwork, arched entryways, coffered ceilings and a carved stone fireplace. Built in 1925 for civil engineer Jean Ewen, his initials still grace the front door in stained glass. Guest apartment includes a second small kitchen. Bring your vision for a worthwhile restoration in a coveted neighborhood!